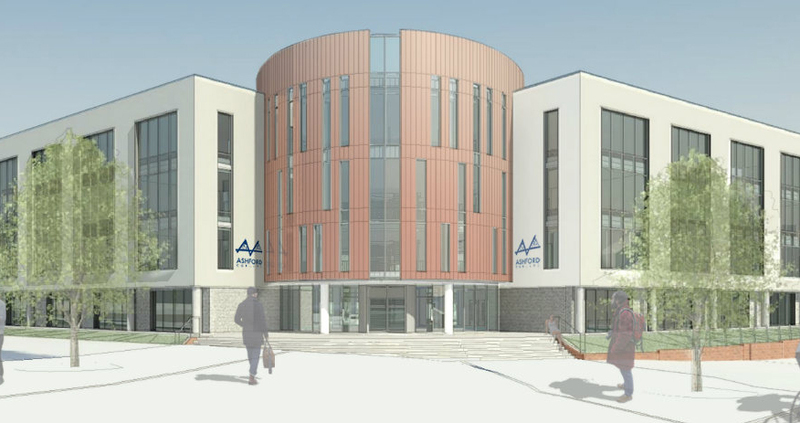 Hadlow Group, which operates West Kent College, Hadlow College and Ashford College, plus a number of other sites, has awarded BAM Construction a £10.8 million contract to construct a new town-centre college campus. The contract will see BAM Construction deliver the first stage of Ashford College’s new campus at Elwick Road, having successfully completed the initial demolition work on the project. A 5,112m2 site will replace the college’s current Ashford home on Jemmett Road. It will provide housing for more than 900 students. Hadlow Group was awarded £9.8 million to deliver the first phase of the campus from the South East Local Enterprise Partnership and its Skills Capital Fund. Planned to be built by early 2017 and open in September later that year, it will offer vocational training in manufacturing, construction, technology and service sector courses.